The Youth Risk Behavior Survey (YRBS) was first developed by the Centers for Disease Control and Prevention (CDC) in 1990 to assess the health risk behaviors of youth and adults in the United States. For the first time since the survey has been widely administered, the 2017 YRBS optional question list included two questions pertaining to homelessness. Using this YRBS data from 17 states (Alaska, Arkansas, California, Colorado, Delaware, Hawaii, Idaho, Illinois, Kansas, Kentucky, Maine, Montana, New Hampshire, North Carolina, Pennsylvania, Virginia, and Wisconsin), we conducted an analysis of differences in seven self-reported risk factors and health outcomes between high school students experiencing homelessness and those not experiencing homelessness. The results were striking and heartbreaking. 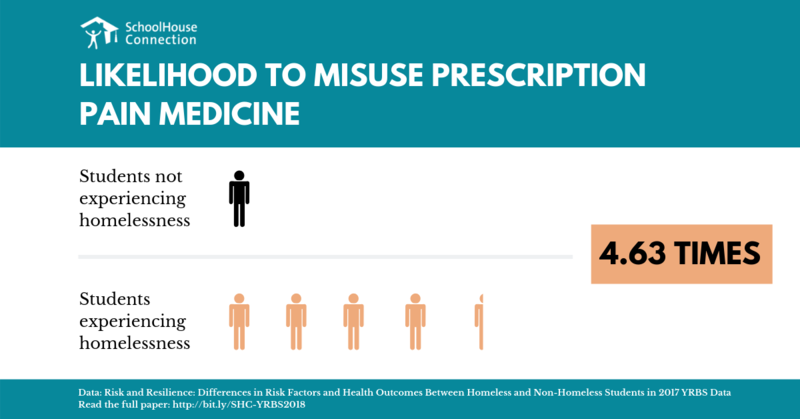 Broadly, our findings demonstrate that young people experience homelessness at an even higher rate than currently measured by the United States Department of Education. 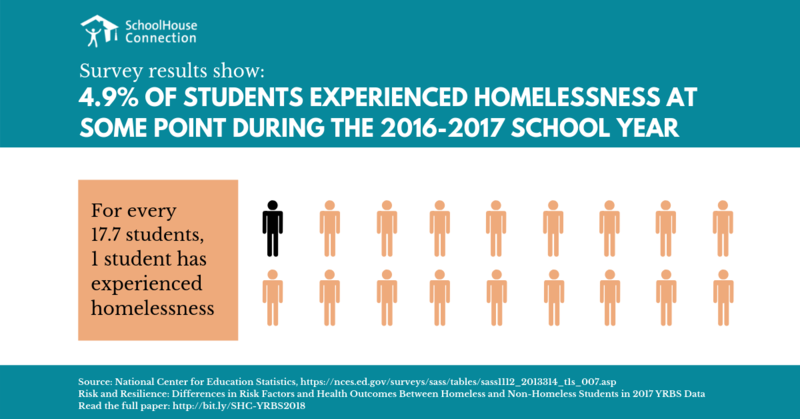 The YRBS indicates that 4.9% of students surveyed in the 17 states experienced homelessness at some point during the 2016-2017 school year, while public schools reported only 2.57% of their students as experiencing homelessness. The significant under-identification indicated by the YRBS means as many as one million students experiencing homelessness are not receiving the services that are their right under federal law. Ensure that McKinney-Vento liaisons, which the McKinney-Vento requires every LEA to designate, have adequate capacity to conduct adequate identification. The McKinney-Vento requires that liaisons be “able to carry out the duties described” in the law. Adopt LEA policies requiring school personnel—including such front-line staff as bus drivers, office secretaries, registrars, and security officers—to receive annual training on the definition of homelessness, signs of potential homelessness, and how to respond to such indicators. 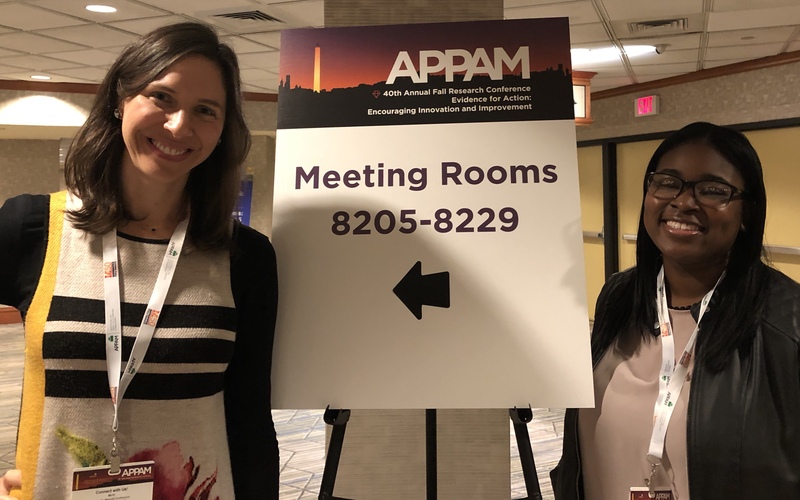 Training should include trauma-informed practices to cultivate an environment that encourages students experiencing homelessness to self-identify. Adopt LEA policies to ensure students receive credit for full and partial coursework completed at prior schools, as required by federal law. Especially during times of acute crisis, youth noted that it would be helpful to have flexible course loads with built-in opportunities to earn missed credits or request extensions or complete credits online. Youth also requested increased classroom staff and support to help them succeed in alternative programs. Support parenting students. 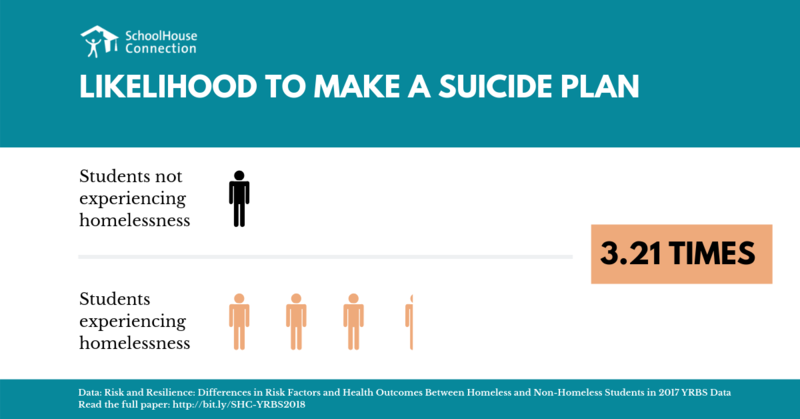 Recent research found having a child to be the second greatest risk factor for young adult homelessness. Parenting youth stated that transportation to day care for their children would support their own goals for graduation. Ensure consistent, safe transportation to school. Young people noted that gas cards and carpools were welcome resources. Young people frequently commented that the most significant barrier to accessing safe transportation services provided by districts was uncertainty. Revise mandatory child protective services reporting requirements to allow youth to request and receive services without involving the child welfare system. Locate services on school campuses and ensure youth experiencing homelessness can access them. 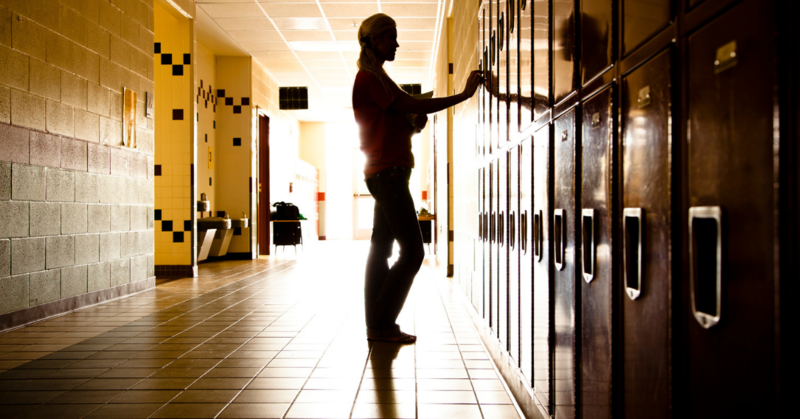 Many youth surveyed felt that mental health, substance abuse, and intimate partner violence services and supports should be sited in the schools themselves—and, due to transportation issues, they noted that services should be available at a range of times during, before, and after the school day. 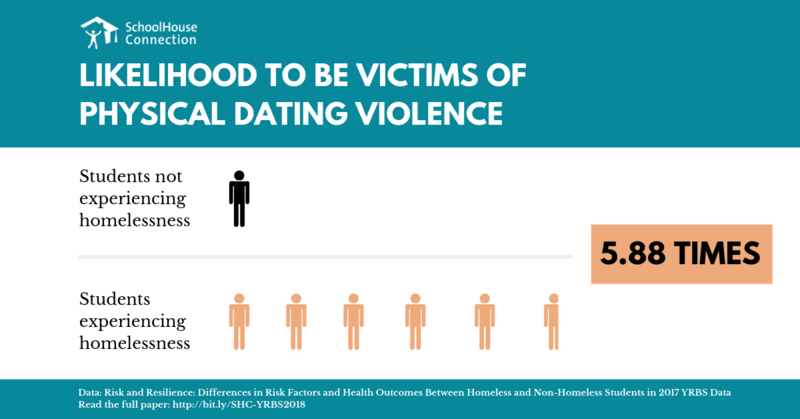 Incorporate education about sexual and physical dating violence and the hidden dangers of prescription drug misuse into existing health classes. Offer school office phones to call hotlines or to report violence. Youth experiencing homelessness often struggle to maintain functioning cell phones and cell phone plans. Create school-based peer educational training programs to inform young people about depression, suicidality, and dating violence and to support students experiencing these risk behaviors. Talk about mental health openly and often. Encourage an “open door policy” that facilitates emotional security and trust. Be clear about cultural norms and immediately address inappropriate behavior and toxic language through conflict resolution strategies. 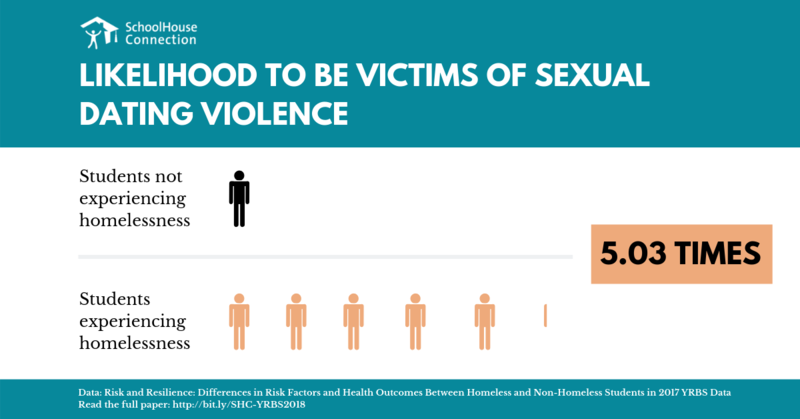 Help perpetrators understand why their behavior hurts others, and let victims know that they are supported. Respond immediately to warning signs for drug abuse, suicidality, and intimate partner violence by referring students to health and mental health services, while also taking care to respect students’ health care preferences and avoid police intervention when unnecessary. Within the bounds of confidentiality, alert all relevant personnel when a student is experiencing abuse so that their safety can be preserved on school grounds. Review all school policies to ensure they are trauma-informed and specifically include students experiencing homelessness. School policies on a wide range of issues, including absenteeism, school discipline, mental health supports, and professional development, are opportunities to ensure a culture of care in school. 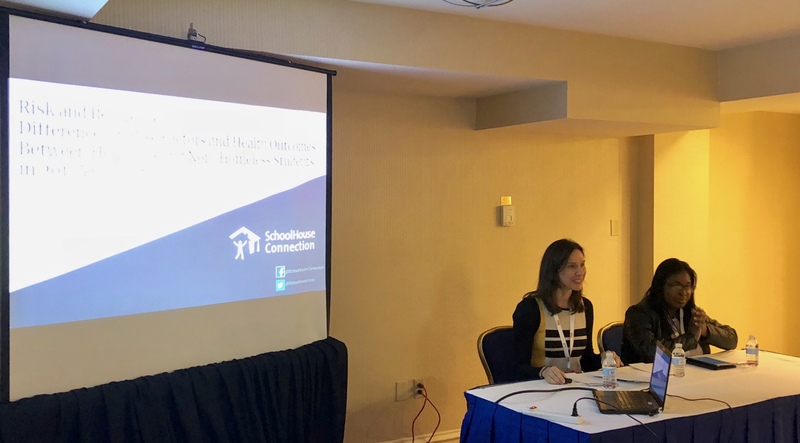 These policies must address the particular needs of students experiencing homelessness to ensure those students can access supports and that responses to their needs are trauma-informed. Equip students with the language to identify abuse. Create targeted resources for female students, male students, victims, perpetrators, and LGBTQ and non-binary youth. Make informational resources and peer reporting mechanisms easily available so that young people do not have to wait for formal instruction or school assemblies (although these are also welcome). By definition, most students experiencing homelessness do not have access to any kind of physical quiet refuge. Permit before- and after-school use of classrooms, libraries, offices, and other school spaces so that students experiencing homelessness can decompress from the traumas they endure off-campus. Fill these spaces with affirming messages and health, mental health, and basic needs resources and make sure that all students know they are available. If possible, offer resources and supplies for art and music expression. Be clear about anti-bullying policies and proactively respond to reports or warning signs about bullying or intimate partner violence on campus. Create mechanisms for separating victims and perpetrators in classes, hallways, and cafeterias. For more information or if you have any questions, please email Katie Brown. 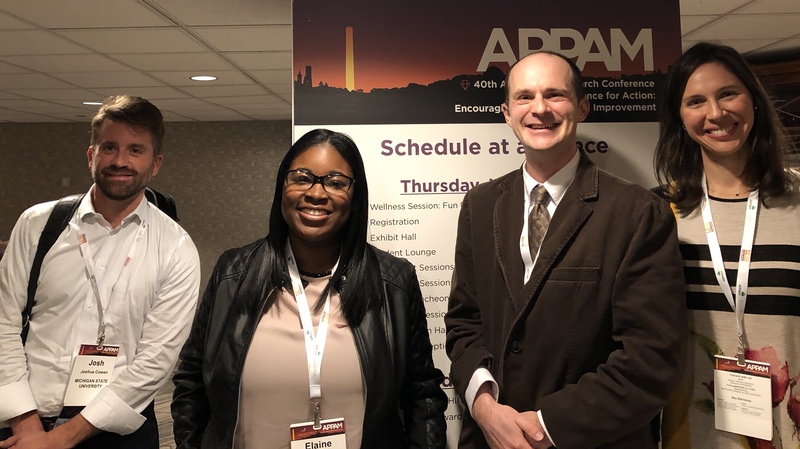 This paper was presented at the 2018 Association for Public Policy Analysis & Management (APPAM) conference as part of a panel on “Addressing the Homelessness Crisis in K-12 Education: Examining Multiple Outcomes and Policy Recommendations.” (L to R): Joshua Cowen, Assistant Professor from the Department of Educational Administration at Michigan State University, Elaine Williams, SHC Young Leader, J.J. Cutuli, Assistant Professor of Psychology from Rutgers University, and Katie Brown, Program Manager, Education Leads Home, SchoolHouse Connection.